I think it's fair to say we're all on the same page in that no one wants another Indiana Jones movie if it's not done right. 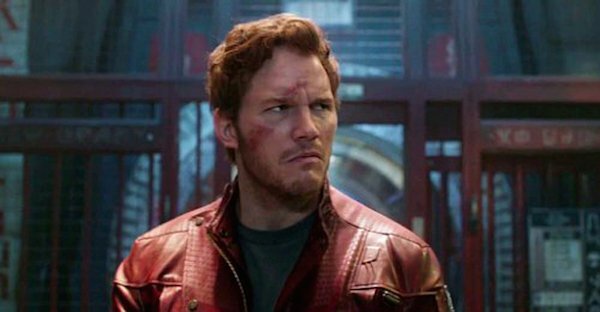 Talk of Disney reviving the franchise -- with Star-Lord-himself Chris Pratt reportedly eyed to portray the adventurous archeologist -- has been swirling for weeks now, and the latest update is that Steven Spielberg wants to direct the picture... if the script is good. So just how firm is this news? Deadline says their sources say that "assuming a script comes in to his satisfaction," Steven Spielberg wants to direct the new Indiana Jones. At present, it sounds like it's too soon to know if things are going well on that front, as there's no script yet. it appears this is in the very early stages of development. Spielberg was at the helm for all three original Indiana Jones -- Raiders of the Lost Arc (1981), Indiana Jones and the Temple of Doom (1984), and Indiana Jones and the Last Crusade (1989) -- as well as the much more recent revisit to the adventure story, Indiana Jones and the Kingdom of the Crystal Skull, which hit theaters in 2008. As Deadline points out, it makes sense for Spielberg to return to the franchise to lead Chris Pratt in what would hopefully be his next great cinematic role, as Spielberg was the one to put Pratt at the center of the highly anticipated Jurassic World. Imagining anyone else playing Indiana Jones prompts an interesting flashback of Sean Patrick Flanery in The Young Indiana Jones Chronicles, which makes me wonder what today's Indiana Jones TV show would be like. But that's another topic. It's not difficult to imagine Chris Pratt playing a new cinematic version of the character, however, as he's demonstrated an ability to tackle strong, heroic roles with humor and relatable humanity (Johnny Karate included). He isn't Harrison Ford, but there's a similar likability there, which is enough to make Pratt seem like the right guy to follow in Ford's footsteps and take a crack at this iconic role. As for Steven Spielberg, while he isn't directing Jurassic World (Colin Trevorrow is handling that responsibility), he is executive producing the project. He does have a couple of directing projects on the horizon, including the Cold War movie St. James Place, which stars Tom Hanks and is listed as post-production at present. And the feature adaptation of Roald Dahl's The BFG. That's about it for him, so his schedule appears to be clear to move forward with Indiana Jones from there. It's just a matter of getting the script right, and i think we're all in favor of that happening.